You may think cyber attacks only happen to the corporate giants. 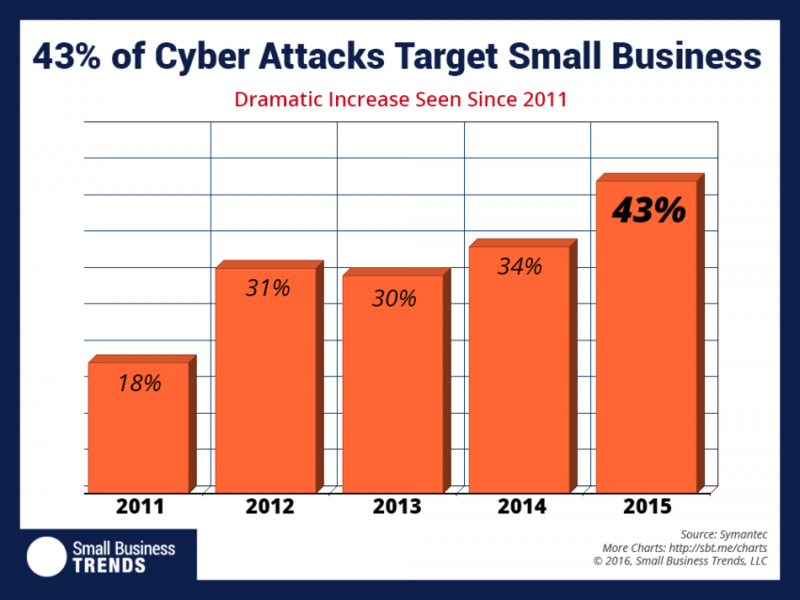 But as a small business owner, you are actually more at risk than all of them! The issue of cyber security has become a central focus of companies, big and small, across all industries. As more individuals and small businesses become increasingly dependent on our networked and interconnected infrastructure, cybercrime and cyber criminals have become much more sophisticated in their techniques for stealing identities and using them to extract funds and make fraudulent purchases. Join us in this session to understand how your small business may be at risk and what you can do to protect your customers and your assets. This workshop is part of our TechSource: Cyber CYA program, consisting of workshops, resources, and free consulting to help businesses cover their digital assets. Workshops are held monthly. Find other cybersecurity workshops here. Thanks to a sponsorship by Ent Credit Union, this class is free!